Commercial Plumbing Vallejo, CA | A+ Waterworks, Inc. Being reliable and trustworthy is essential for any company. Wouldn’t it be a waste if all your efforts end up for nothing because of some issue in your commercial plumbing in Vallejo, CA? Faulty pipes and old fixtures can damage more than just your toilets and sinks. With professional commercial plumbing in Vallejo, CA, you can keep mishaps at bay. As a full-service plumbing company, A+ provides exemplary commercial plumbing to Vallejo, California businesses. We ensure that our clients are always satisfied with our quality plumbing services, commercial plumbing in Vallejo, CA included. Our team can address any issue you have with your commercial plumbing in Vallejo, CA. Whether your problem in commercial plumbing in Vallejo, CA involves leaky pipes or clogged drains, we have you covered. Residential plumbing concerns differ from issues in commercial plumbing. Vallejo, CA establishments have a higher rate of washroom usage compared to residential properties in the area. As an expert in commercial plumbing in Vallejo, CA, A+ Water works can handle projects of any size. When working on a project involving commercial plumbing in Vallejo, CA, we pay close attention to detail as if we’re working on a smaller residential system. Most residential properties in Vallejo, CA only reach up to two floors. On the other hand, commercial establishments can reach up to several storiess, thus requiring different kinds of services for plumbing system from homes or apartments. As an exceptional service provider for commercial plumbing in Vallejo, CA, we can support systems installed on several floors. Experienced plumbers understand the difference between residential and commercial plumbing. Vallejo, CA business owners can benefit from investing in a dependable plumbing company like A+ Waterworks. Since businesses are expected to have more toilets and sinks to accommodate all their employees and clients, commercial plumbing in Vallejo, CA becomes more necessary. Plumbing systems meant for residential properties will not be able to meet the demands of establishments. By installing commercial plumbing systems in Vallejo, CA, we offer business owners more durable systems that can withstand heavy usage. Defective filters and pipes from your commercial plumbing in Vallejo, CA could cause waste to mix in with the running water used in your establishment. Top-quality commercial plumbing in Vallejo, California can keep this from happening. With the help of expert plumbers from A+ Waterworks, the water you use will always be free from dirt and other waste. Not all plumbers can supply their services and solve your plumbing issues. A wrong move can be disastrous for your commercial plumbing. 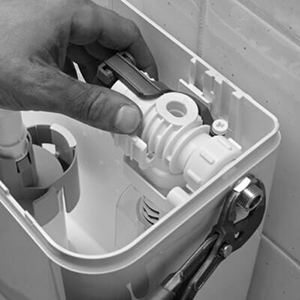 Vallejo, CA business owners must hire experienced plumbers for problems such as leaks and clogged drains. A skilled and meticulous plumber from A+ Waterworks can address any problem involving commercial plumbing in Vallejo, CA with ease.